I was in bed by 7pm last night thanks to the man of the house sharing his "Man Flu"
but I did manage to get these finished first. That finishes off Installment 3 and now leaves me these 5 to add to the rows already sewn. Your needlework is exquisite, and I love the patterns. Beautiful stitching! Hope you are feeling better soon. your stitching is gorgeous. What size are these? Feel better! 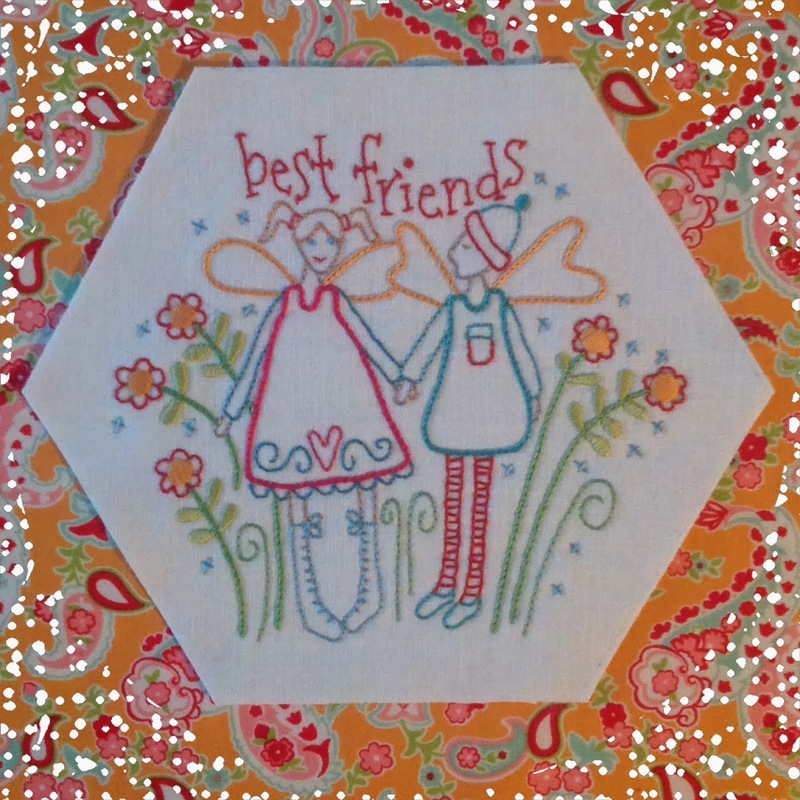 Your stitching is just beautiful Sharon...hope the man flu is gone soon....and you feel much better. I'm sure you will bounce back from the man flu very quickly. 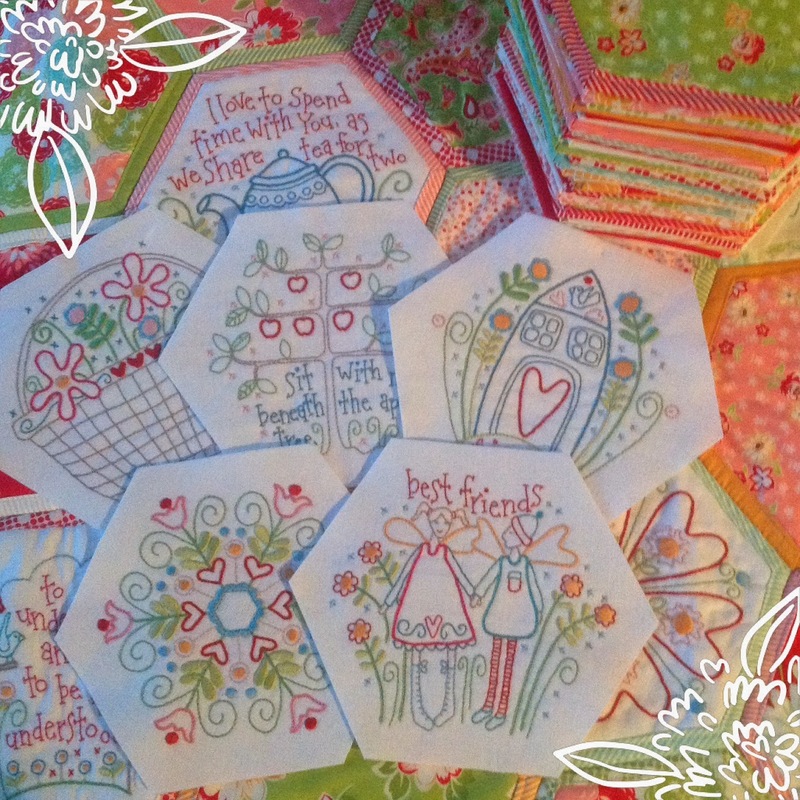 Very pretty stitched hexies. They are so colourful and detailed. Lovely. wishing you a speedy recovery. 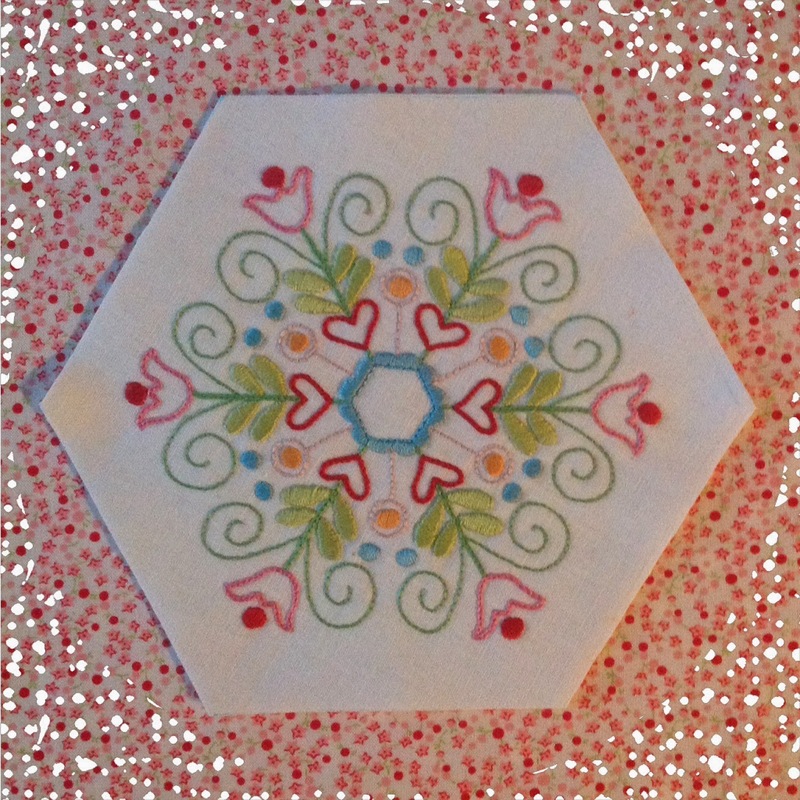 The hexies are lovely how do you manage to get the stitching so perfectly placed in the centre it can not be easy. 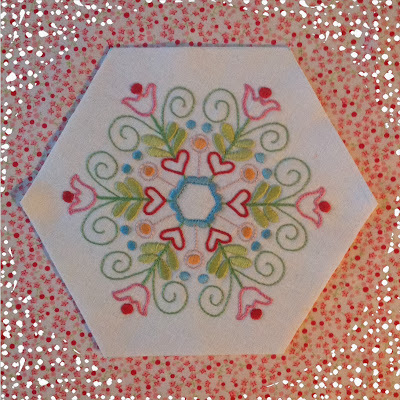 Beautiful as usual Sharon,it's a very pretty pattern and I love the colours you are using. I love your embroidery. Did you have a pattern? If so what's the name of them? I'm sending you mine so you can do 2 at the same time. It is looking so good. They are all just stunning and so colourful. Hope u feel better? I agree with all the above gorgeous stitching! They're gorgeous Sharon!!! ... Can't wait until my fabric arrives - was able to find a local source where I can get 4 layers sometime next month! Yay! Sending you Get Well Wishes Sharon - not nice of hubby to share his germs, so I hope he is looking after you now! So sorry to hear you've caught Man Flu. Just remember the drill..... milk it for all it's worth! Hope hubby is over his so he can do some fussing over you. Hope you feel much better soon. Hope you're feeling better soon. Beautiful stitching! 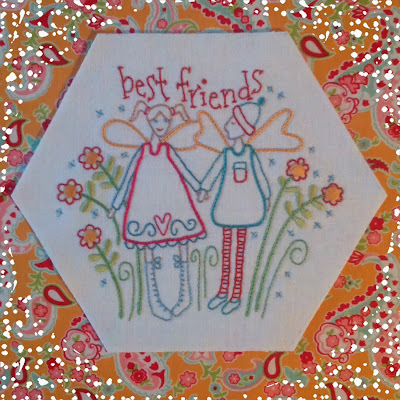 Gorgeous stitcheries..that flu seems to have taken hold over here too..hope you're feeling better soon..